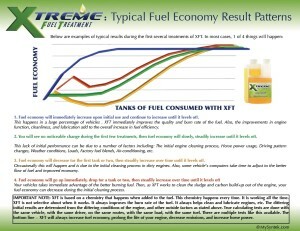 How did you find out about XFT? What cost Savings made? Additional details – Engine Noise, Running Smoother, More power? Started to test this a while ago now.did test on a new Volvo xc60 only did it on 1 full tank, only a small increase of 2 mpg. 2nd car Grand jeep Cherokee 4lt petrol did 1 full tank on this(road town) again small increase of 3mpg. Did 3 tank full on my v6 petrol 1st tank increase of 2 mpg 2nd tank 6mpg 3rd tank 10mpg. All 3 4×4’s run better more mid to top end power. Power wise on my v6 it feels like you using top end unleaded. 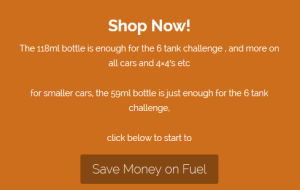 So that’s a big saving in it’s self. Stopped using it (ran out) and on last two tanks I’ve gone From 22mpg down to 16mpg. PURE LIQUID GOLD!!!! I’m using this in my 3.0 V6 Jaguar affectionately known as the Scooby slayer (hehe), which is race tuned through 3 remaps and upgraded everything, the dyno is hiting 0-60 times of 4.9 and running 354BHP and I have gone from a 12mpg avg to 20mpg, absolutely phenomenal! Faster everything and not sure if its psychological but smoother acceleration, but it def does what it says on the tin! just don’t get in on your coat as I did it smells horrendous! been using it a few weeks now I am on my 3rd 50l tank now, first tank it wasn’t an instant gain till I got towards the end of the tank according to the car computer but on paper its an increase from day one, 2nd tank computer matched paper at 19mpg and so far its working out at 20mpg with half a tank to go so hopefully its going to continue going up even if it is at its maximum gain im going to save a fortune in the long run I just need to get it out of stop start city driving and on a decent motorway run to see that side now and when ya got a thirsty car and research who sells the cheapest fuel its a great bonus!!!! Be even more interested when it does the 1/4 mile and Dyno next month to see if it has power gains as well as fuel gains! but I have noticed mpg drops off straight away when you don’t use the liquid gold! 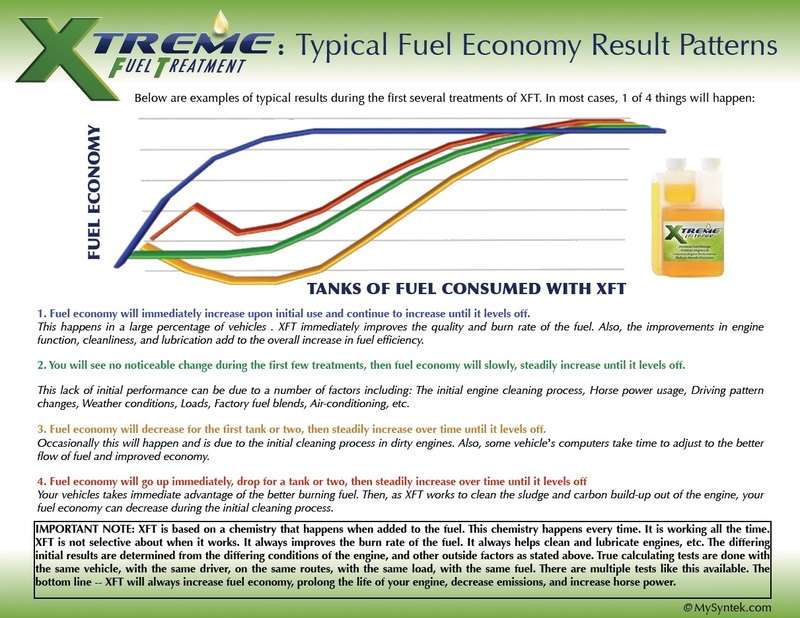 I was sent a free sample enough to do 3 tanks and things seemed good, to be sure the next 2 tanks i used plain fuel and yes the mpg dropped back to what it was and so did the performance too SO i have now invested in my own bottle of XFT and am enjoying better mpg, to the tune of at least 50 miles more per tank, also the performance is excellent, noticeably improved and more fun to drive too. I regularly drive a 700 mile round trip from my home in Thre Scottish Highlands to family in Skipton, N Yorks. I used to get around 50-55 mpg out of my 2007 Honda Accord 2.2 i-ctdi sat at 60-75 mph. Following 3 treatments and 2 further journeys i got a staggering 64 mpg this weekend meaning i did the whole journey on 3/4 of a tank of fuel, costing roughly £65. When i have needed to put my foot down to overtake the performance is there, better than it was. Not bad for a car with 100k on the clock. I am very impressed with the results as i was sceptical at first and didn’t see how the mpg could improve much from what it already was.